Plus Size Cotton-Blend Garden Floral Maxi-Dress Only $26 Plus FREE Shipping! We all like to have a go-to outfit that is cute, stylish and still comfy. This Maxi-Dress fills the bill spring through fall! You can find the perfect one for you, from 5 different colors! This Plus Size Cotton-Blend Garden Floral Maxi-Dress is Only $26 Plus FREE Shipping! It’s super easy to dress up or down–it’s perfect with simple strappy sandals and a denim jacket for a weekend look, or with heels and bold jewelry for an evening style. No matter where you are, you’ll feel fabulous in this pretty and comfy dress! Find other great items at Choxi/NoMoreRack! 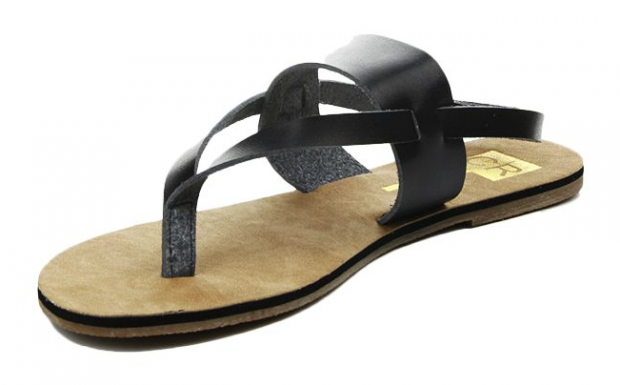 Women’s Trendy Spring Sandals – Assorted Colors Only $21 Shipped! Love these sandals! Love the shape, love the back strap, love the color assortment! These Women’s Trendy Spring Sandals – Assorted Colors are Only $19 Plus $2 Shipping! They’re oh-so cute and versatile enough to wear with most every outfit. Pair them with skinny jeans, capris, shorts (when the moment strikes)! Two-Tone Chunky Link Bracelet Only $7 Shipped! Boasting a bold chunky link motif with contrasting details, this bracelet gives your look a unique flavor that sets you apart from the rest of the fashionistas! This Two-Tone Chunky Link Bracelet is Only $5 Plus $2 Shipping. Versatile enough to pair with both trendy and classic outfits, this bracelet sports a lot of attitude!